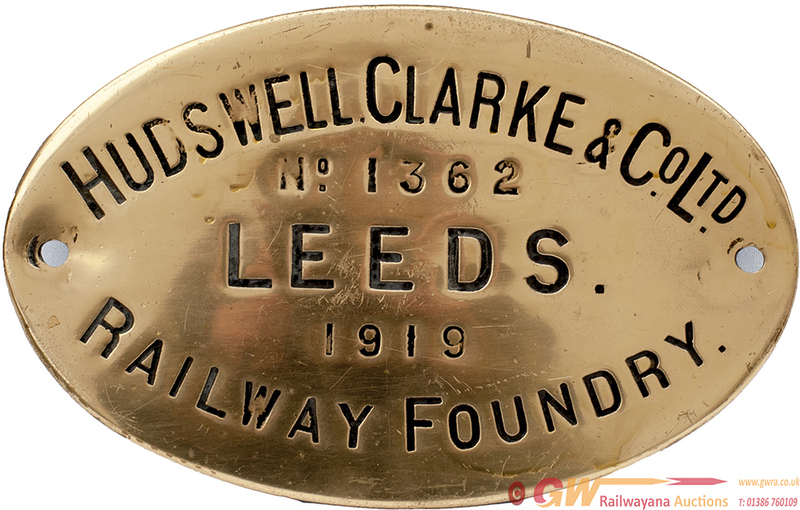 Worksplate oval engraved brass HUDSWELL CLARKE & CO LTD NO 1362 LEEDS 1919 measuring 13in x 8in. Ex Manchester Ship Canal 0-6-0T No 66. Face lightly cleaned and rear ex loco with 66 painted on.